Carry unique and prolific stylish mode for your Business.Be it an Exhibition or an event or trade show or else a gaming point, VRS Technologies teams with the finest LED Screen rental Dubai that matches up with any of your Corporate’s or Enterprise requirements. VRS Technologies deliver substantial resources of high quality measured LED screens for respective events in Dubai, UAE as a part of rental services. We at VRS Technologies are backed up by a professional & experienced team who assures delivering the right & customized LED Screens, which makes our clientele to experience every moment adorable. Why We Have To Choose Led Screen? With the massive growth of technology, we no more see printed banners, pamphlets or else white papers to convey messages. The digitalization of business has brought much change in the methods of approaching and exposing one’s business to the world of corporate. Well, it’s the best way to organize an LED Screen at any event, as the gigantic look of the screen and with the splendid effective tone of conveying the message, definitely drags the attraction of people over there. The LED display (Light Emitting Diode) diffuses the amount of brighter energy into realistic and sharper colors. Whether it’s about a product, campaigning, overview of an organization or else at stadium LED monitors blindly becomes a self-explanatory system. The LCD screen is an amazing technology that cannot be matched by any other’s technology and an irreplaceable prospect in business life. Even though LCD screens are bigger and reflect the brighter part, most of the organizations opt LED Screen. Simple but the stronger reason is LCD TV chokes out harmful Ultra Violet rays with fluorescent light causing anti-glare and a sought of bad angle view issues. The fluorescent light which is emitted by LCD display stays behind the screen itself while the light emitted by the LED display can sometimes stay behind the screen or else on the edges around. LED display produces clear, great and quantified picture quality when compared to the thinner LCD TV. LED screen reflects the high quality of performance in gaming by letting the users enjoy the real-time experience. LED display firmly fortifies its elegant mark as a representative source for many industries, events and at workstations. In this era, we could often see stipulated LED monitors fixing up on the wall at heights that make sure connecting the entire present atmosphere over there. Just a glance at VRS LED Screen Rental Dubai, UAE. Events: LED monitors at events like wedding, organizational functions, launching events, movie release events and any corporate events engage people by grouping all together for the proper insight of the event. We make sure that the entire event is seen by all the peers by allocating the required number of LED Screens. Products/ Sales: An organization tends to make learn people about their products, sales, branding, advertising, and services. Campaigns: For any product & sales based enterprise, campaigning is one of the best ways to make people known about their company. For the same, we keep on reviewing the details of the respective department. Seminars/Schools/Colleges/ Training: We Rent LED Screens for an educational field for seminar purpose, which makes the trainer explain with ease and in an effective manner. Many corporates use the same funda of using LED Screens and LCD’s for their management events. Other than these, we also LED TV screen Rental Dubai, UAE for Film fare events, festivals, window shopping advertisements, the stadiums-where audience can be able to see and enjoy the game on the big screen and we fix the screen on a rental basis for both indoor and outdoor process. 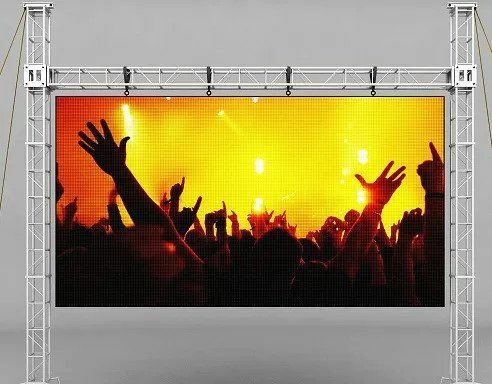 LED Screens have become the prime choice of event organizers, media and the entrepreneurs for advertising so that they can reach the audience at ease Mobiles, iPads or laptops can also be connected to the LED TV for simple connectives and data transmission. Vrs Technical Maintenance of Led Screens Rental Services at Dubai, UAE. We have a professional team of experienced staff, who are well versed at maintaining LED screens at any events held in Dubai. Our staff will follow certain rules and regulations while renting LED’s to clients. Throughout the program, all the screens are served under our maintenance and ensure that no problem arises in the middle of the event. How to approach VRS Technologies? Dubai is known for its commercial and luxury. So, we can see here and there always an event accustomed to the respective field and we are glad that, we are one of the highly recommended LED screen service providers at Dubai. Under VRS, we bonded with many of our prestigious clients and if you want to be one among them, you can reach us at +971-55-5182748 or else ping us on our website. 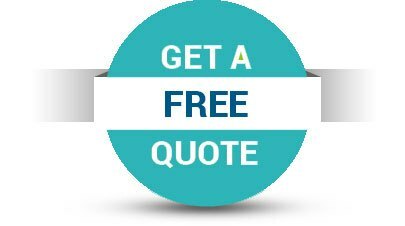 Never mind, if you are a small, medium or any large enterprise, we always serve LCD Screen rental services to all of our esteemed clients with equal priority.